Aeroscraft features a rigid 70-meter skeleton made of aluminum and carbon fiber, with 365-horsepower piston engines, automatic buoyancy control systems and high-tech electronics and fuel systems. The US Department of Defense and NASA have invested $35 million in the prototype. The internal ballast management controls the Aeroscraft’s buoyancy. The airship functions like a submarine, releasing air to rise and taking in air to descend. The craft is brought to the ground by compressing the helium inside its containment tanks and replacing it with external air. The airship can rise by re-releasing the compressed helium into its tanks, and then using its turbo-prop engines to control its direction. ­This internal system for managing ballast challenges the previous cargo-airships, which were held back by the need to weigh them down or tie them up while cargo is unloaded, and were unable to withstand high winds and other extreme weather conditions. 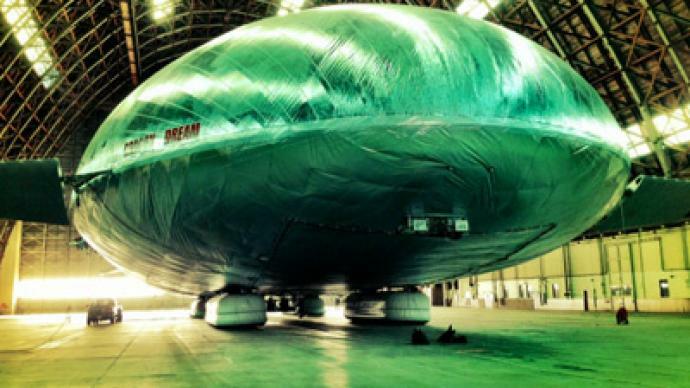 Developer Worldwide Aeros finished construction of the airship in December of last year. In January 2013, the company launched a series of system check tests of the airship in a 17-story-tall World War II-era military hangar at the former Tustin Marine Corps Air Station. 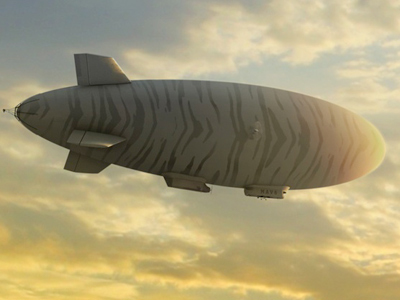 The airship’s maiden flight is set to take place in March. If the Aeroscraft’s test flights prove to be a success, Worldwide Aeros is hopeful that the US Department of Defense will again step in as an investor for the next round of testing. In just three years’ time, Worldwide Aeros is set to construct a 137-meter-long airship – nearly twice as long as the Aeroscraft – which could fly at 220 kph, with a hefty payload of 66 tons and a range of 3,100 nautical miles (5,700 kilometers). But these specifications still fall short of the capabilities of modern cargo plans. Lockheed’s C-5 Galaxy can carry 118 tons, while latest modification of the Antonov An-124-100М-150 has a 150-ton payload. But over the long term, Worldwide Aeros says it could eventually build an airship capable of carrying 500 tons, with a range of 5,300 nautical miles (9,800 kilometers) – double the 250-ton payload of the world’s biggest cargo aircraft, the Antonov An-225 Mria. The travel speed of the Aeroscraft might be much slower than that of a cargo plane, but it is anticipated to have unprecedented payload efficiency. Within years, everything now transported across the planet's surface by boat, train or truck could be shipped through the skies, Worldwide Aeros claimed. But the real advantages of an airship are not just in payload. In theory, it would not require expensive ground infrastructure like an airstrip – a valuable feature, whether for the delivery of heavy equipment to a remote oil rig, bringing team of rescuers with supplies to a natural disaster zone, or deploying several hundred marines somewhere high in the mountains. "You could take this vehicle and go to destinations that have been destroyed, where there's no ports, no runways, stuff like that. This vehicle could go in there, offload the cargo even if there's no infrastructure, no landing site for it to land on, this vehicle can unload its whole payload," Aeros mechanical engineer Tim Kenny said. Though the golden age of airships ended in mid-20th Century after a series of catastrophes like the explosion of the Hindenburg zeppelin in 1937, the legend never died. No modern airships have approached the sheer grandeur and extensive use of the zeppelins in the past, when zeppelins plied the skies of Europe and the Americas, even making trans-Atlantic passenger flights. 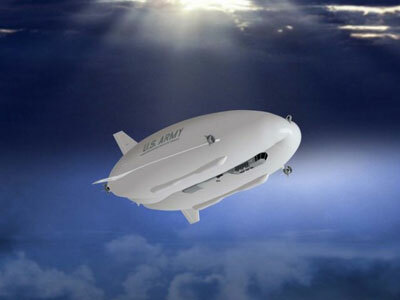 Heavy-payload airships are currently being developed by engineering teams in several countries. The biggest stumbling block in such projects is that such projects need considerable investment capital – for small companies, it is hard to find a wealthy investor ready to pay millions, if not billions, of dollars to finance an operable airship. But the US Military does have a huge budget, even in the midst of a global financial crisis, and is still ready to invest in somewhat risky, but potentially highly promising, technology.